A number of personal milestones and a pair of high-profile wins during the fall indoor season of 2017 capped off a busy year for Nicole Walker. 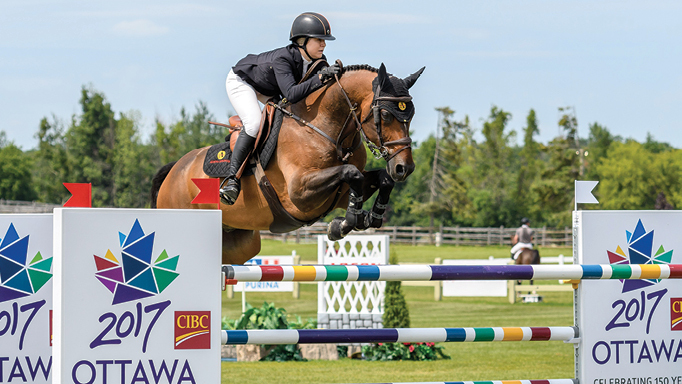 Nicole Walker, a 24-year-old graduate of Wilfred Laurier University with a major in Environmental Studies, competed in the Spruce Meadows Summer Series for the first time, won the CSI3* $100,000 Prix de Penn National Grand Prix at the Pennsylvania National with Falco Van Spieveld, and finished her season with a win in the Uplands U25 Jumping National Championship at the Royal Winter Fair with Excellent B.
Nicole recently began working at The Stronach Group (founded by her grandfather, Frank Stronach), has joined the board of the Thoroughbred Aftercare Alliance, and also assists in the management of the Adena Springs Thoroughbred Retirement Program. This, all while developing her string of competition horses and having some breakthroughs with younger mounts. 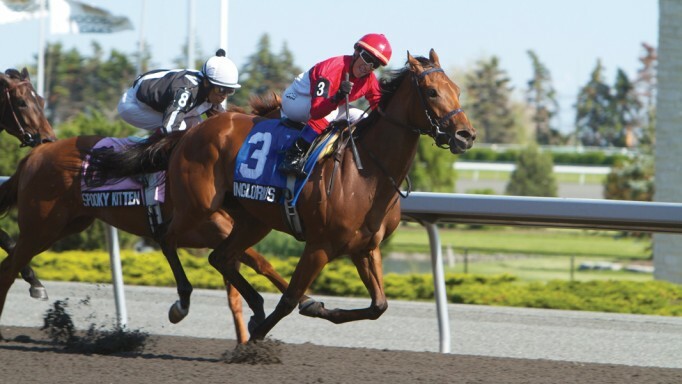 Nicole laughs that her Aurora, ON-based Adena Springs North is “a bit of a travelling circus” with winters spent in Wellington, FL. Since 2013, she spent her summers in Europe training with Irish team veteran and Olympian bronze medalist Cian O’Connor, an experience which she credits for completely immersing her in a new level of the sport. The logistics of the partnership, with O’Connor splitting his time between Europe and North America, necessitates the use of some alternative methods to stay connected. “When I am in North America and Cian is in Europe, we send each other videos and exercises over WhatsApp. This summer, Mark Kinsella, who knows the Karlswood [Stables] system very well, has also helped me at home. 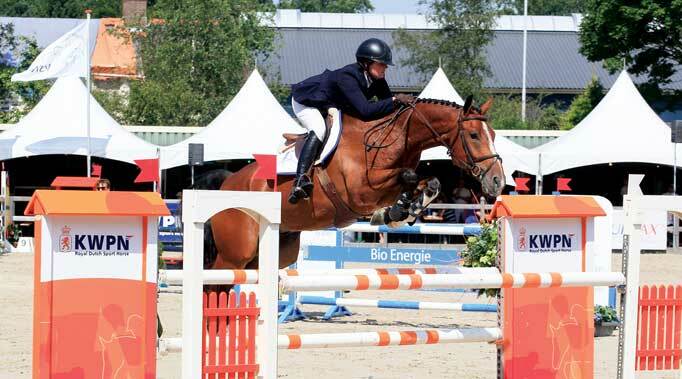 Nicole notes that it has been a slow and steady progression for her in the ring since she graduated from the junior ranks, where her success in the equitation finals seemed to be a good prediction of the successes to come. 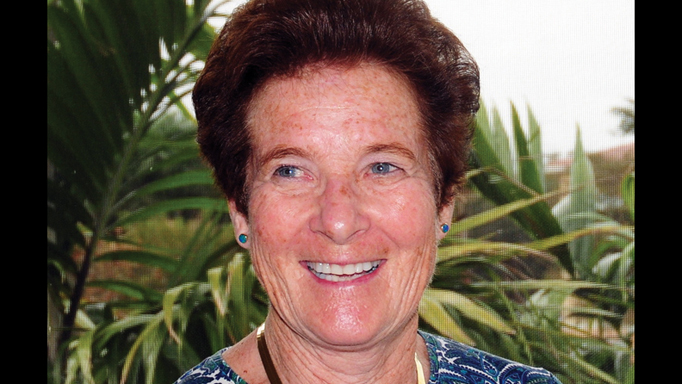 “The equitation provided me with the finesse and a basic foundation to step into the bigger rings,” she explains. “At first it wasn’t the easiest. My first summer competing over in Europe was a huge adjustment. I was just starting to jump some bigger tracks and it was quite intimidating. Cian helped me go back to the basics. We do a lot of flat and pole work. This helped me improve my accuracy, connection with the horses, and confidence. What you couldn’t live without: Falco, my Toronto squad, and ice cream! 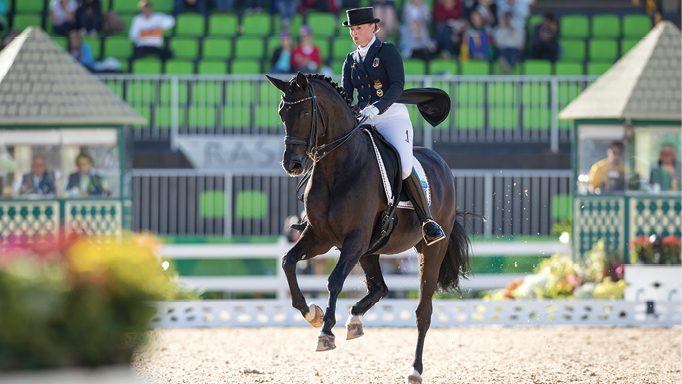 Isabell Werth holds a record number of Olympic medals for an equestrian athlete.